Apple Touts Strong Growth of Apple Pay Globally, though Again Fails to Release Actual Transaction Figures | NFC Times – Near Field Communication and all contactless technology. While Apple has again proclaimed strong growth in use of Apple Pay globally, it has been vague when it comes to providing details about the increased use. 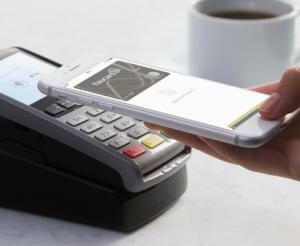 NFC TIMES Exclusive Insight – Apple said the number of Apple Pay users doubled globally while transactions tripled during the last quarter, but the company did not release many details explaining reasons for the increases and again released no actual figures on Apple Pay usage. CEO Tim Cook, speaking on a conference call with financial analysts Tuesday following release of Apple’s fiscal second quarter earnings, appeared to attribute the jump in use of Apple Pay, at least in part, to transit ticketing. That is despite the fact that Apple Pay was available during the quarter for closed-loop fare collection in only one transit system, albeit a large one, in Tokyo. Apple Pay launched support for closed-loop payments in two other big transit systems, in Beijing and Shanghai, but right at the end of the quarter. Apple Pay is also used for open-loop transit ticketing in London, where one in eight pay-as-you-go transactions are with NFC payments services, including Apple Pay, according to transit authority Transport for London. That is up from one in 10 pay-as-you go fares made with NFC phones as of last July. Pay-as-you-go fares account for more than half of all journeys on Transport for London supervised modes of transport. The rest are season tickets and concessionary rides.